A sunset party aboard the Calypso on Saturday February 16th, 2019! Listen to our songs live on the hydrophone as we collaborate with Shane Smith on the whale flute! We will also be communicating our message about the amazing projects transpiring in the coming years. We are excited to share with the community about what's happening within these organizations, & how you can get involved. Food, Music, Dance, CBD endocannabinoid activations, and fun on the high seas will combine in a memorable afternoon for us all! 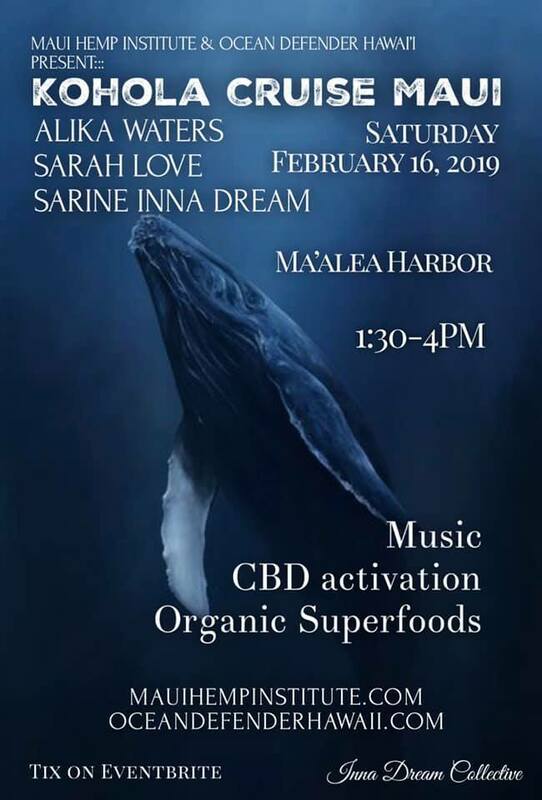 We hope this will be the first of many conscious cetacean human interactions as it seems your species is awakening to your potential for harmonious communication and synergistic collaborations to protect and heal our Mother Earth or Wa'a Honua!